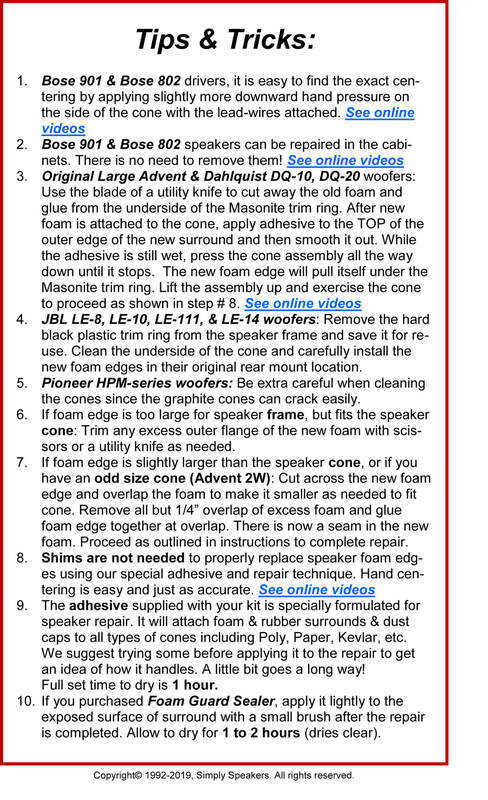 Q: I have a pair of old Genesis 6 speakers and the foam has gone bad on the 6.5" speakers. 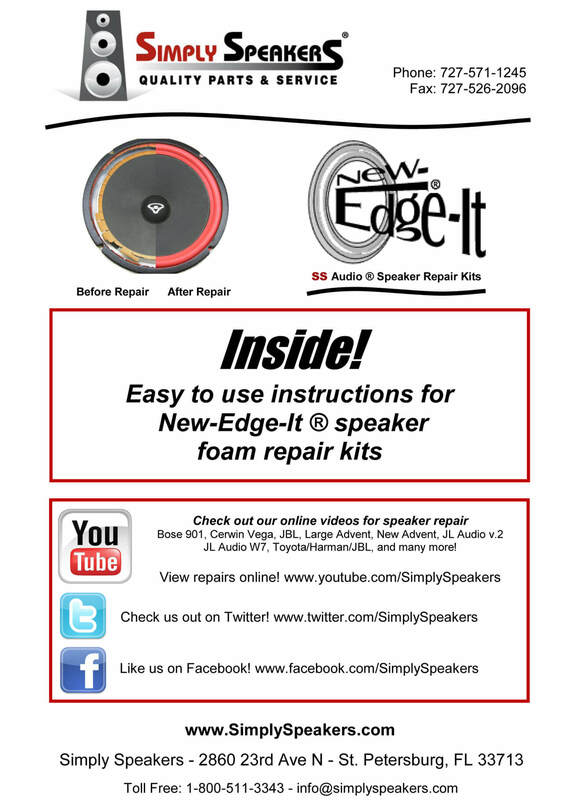 You do not list my speakers as working with these specific repair kits. 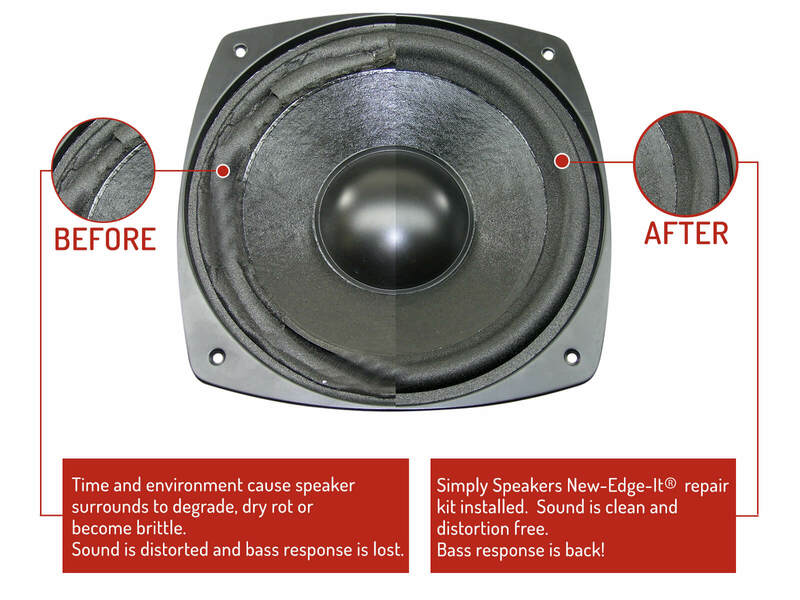 There is a date of 1978 on the back of the actual speaker itself. 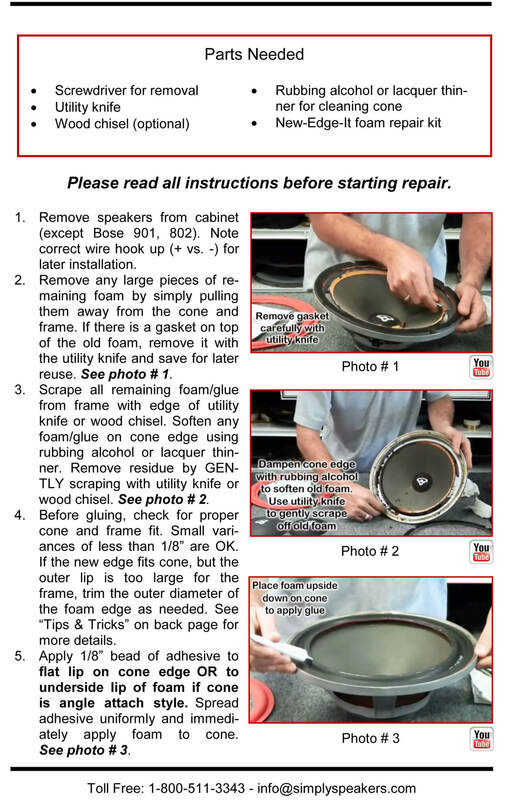 Would one of your Genesis 6.5" foam repair kits work for mine? Thanks. 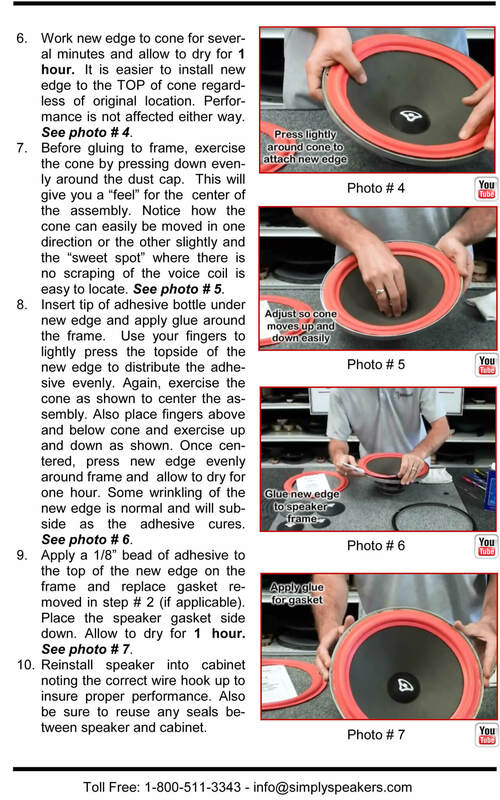 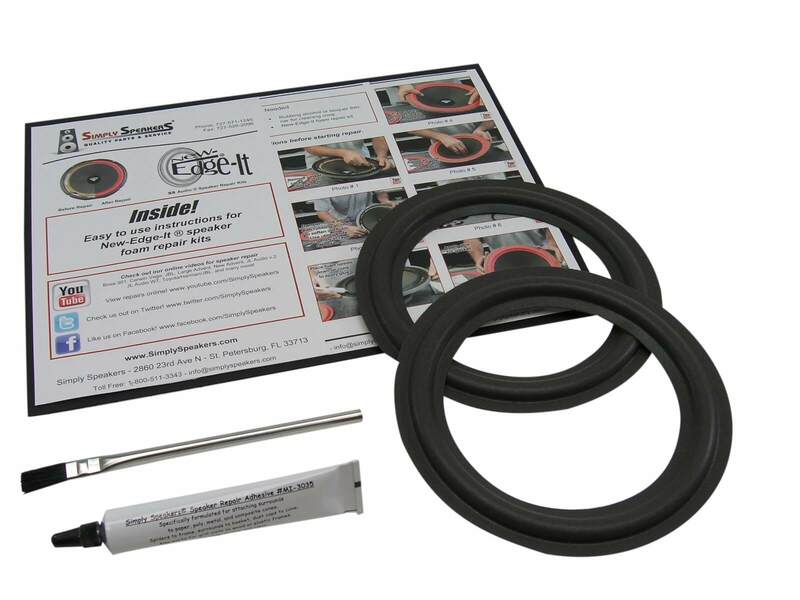 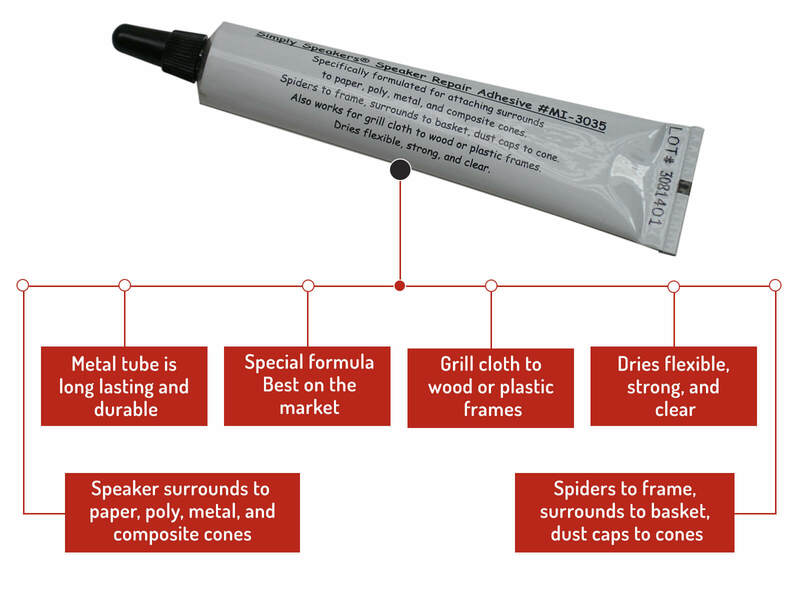 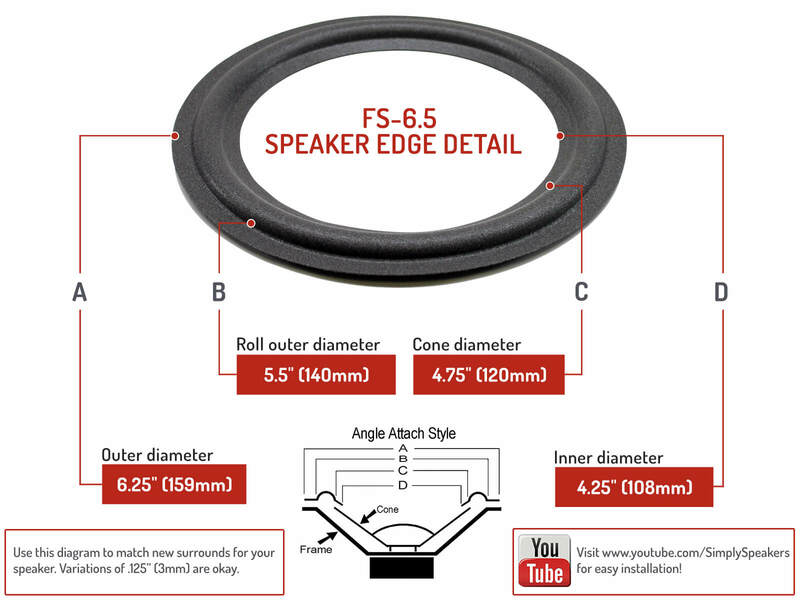 A: Yes, as long as the speaker frame is 6.5" outside diameter and the cone is 4.75" then this kit will fit perfectly. Genesis: 22, Genre 2, Genre 3, and many more!